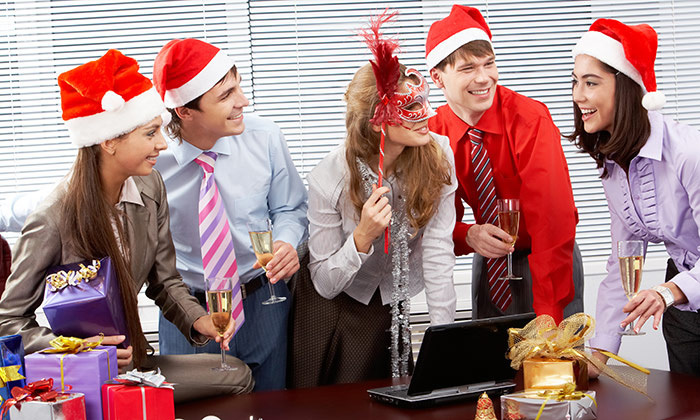 A Christmas party often seems like the perfect way to wrap up the year and build engagement before heading into the New Year – but your staff might not really care. They’d rather you gave them money than organise a company Christmas bash. Almost two thirds of companies (63%) in the US said they plan to throw a holiday party this year, up 4% from last year. However, only 40% of employees actually plan to attend. An overwhelming majority (96%) said they would prefer receiving a holiday bonus over a company party, the survey by CareerBuilder found. For some, the bonus wish may come true, as nearly nearly half of employers (47%) plan to front up the cash, with 11% even promising to top last year’s amount. However, your office won’t be entirely without some Christmas joy, as two in five employers intend to give gifts to staff, as well as making charitable donations (42%). Employees are also looking to buy gifts, with one in five planning to shop for their co-workers, as well as for their boss. The majority (76%) expect to spend US$25 or less. A chess piece (just one piece, not a set). A voucher for a free lawn game of the co-worker’s own invention. A Ziploc bag with coffee (enough to make one pot). A ‘gun of the day’ calendar. How are you planning to celebrate with your teams? Share your ideas below. Why don't companies care about attracting Millennials?